I have burdened my handful of readers enough with my own verse. 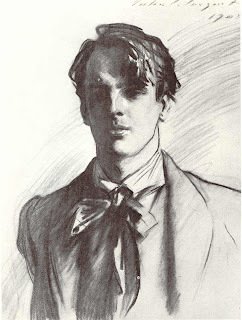 Now, it is time to turn to the master himself, William Butler Yeats. This same poem caught my eye when I was fifteen, in Ohio and wondering what I might be. From that moment on, I was hooked on verse. It is so incredibly simple and altogether beautiful. A work of true devotion. He was writing about this woman, Maud Gonne. It is even more poignant because he never won her heart. And seriously, if these poems can’t win her heart, it just isn’t going to happen. changed your style, did ya now?